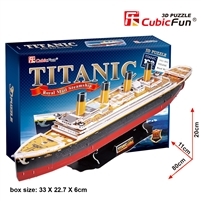 3-D Puzzle Place is your one stop destination for finding 3D puzzle games and jigsaw games. Choose from various themes for a fun and challenged filled day. 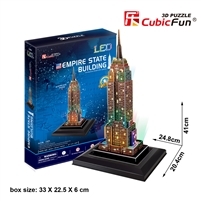 We have a wide range of 3D puzzles to match your exact needs. Puzzles have always been a great fun. 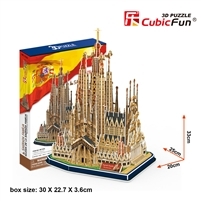 But unlike the jigsaw puzzles which lieflat on the surface, the 3D puzzles are more fun. It gives the structure the 3dimensional effects making them an adorable miniature pieces. 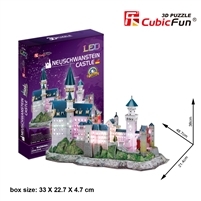 We have a wide range of 3D puzzles themes ranging from architecture, castles, ship series, transport, season , dollhouses and many more. 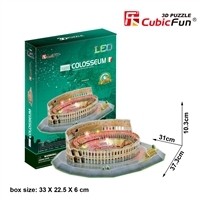 Our collection of 3D puzzles is specifically designed to provide you with hours of fun. They are available for different age groups. You can choose them on the basis of difficulty levels as well. 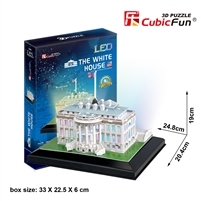 All age groups will find the perfect 3D puzzles. They are specifically designed to provide you challenge and help you use your imagination to complete the task. 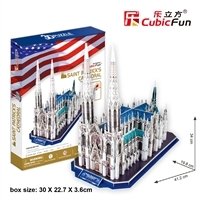 We have hundreds of quality puzzles ready to be shipped. They are just perfect for spending an evening or gifting them to children. They are so much fun to make that even adults like them. You can gift them to anyone whether children, young or old. 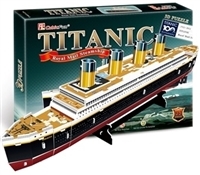 Our high quality puzzles are meant to last for a long time. They are worth your every penny. After completing the puzzles you can use them to be displayed on the table top, desk, book shelves, home or office.